Climate change, soil pollution and the shortage of natural resources create challenges in meeting high standards for soil and water systems management. Dutch subsoil is even more intensely used. Climate change, soil pollution and the shortage of natural resources create challenges in meeting high standards for soil and water systems management. Dutch subsoil is even more intensely used. To keep ahead of these challenges RIVMNational Institute for Public Health and the Environment supports authorities in making regulations for integral and future use. In a highly populated country like the Netherlands it is becoming increasingly difficult to combine certain functions in the ground. In certain places there is not enough room for cables, pipes, water storage facilities, protected archeological sites and other forms of soil use. This together with the ground quality, fertility and water retention facilities also increases the pressure. It is therefore becoming increasingly more difficult to make the use of land acceptable to the human requirements of water, food, health, energy and recreation. We cannot take water safety, water quality and the availability of drinking water for granted. Soil and ground water systems are closely connected. 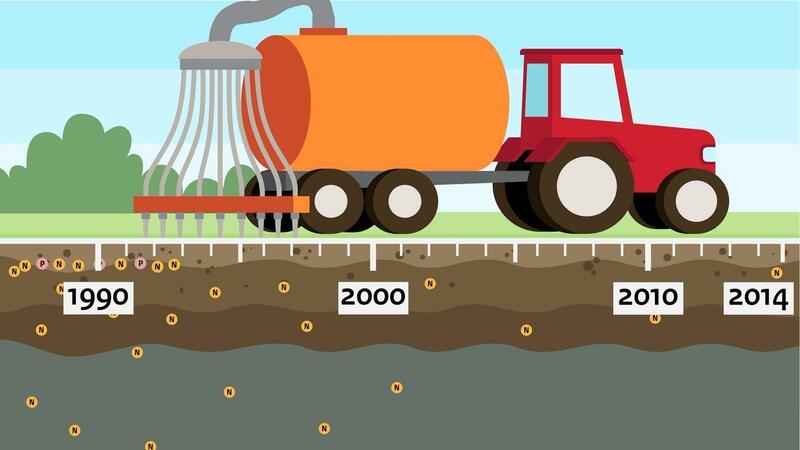 Soil is the nursery of (drinking) water of the future. These are slow systems and wrong decisions can lead to high costs and years of restrictions of use. Therefore, in order for the Netherlands to be healthy, safe and competitive, wise use of soil and ground water is necessary. RIVMNational Institute for Public Health and the Environment always links soil and water when developing expertise and policy. With our integral approach we support authorities by stimulating lasting use of soil and the amenities which the soil and water systems deliver to us. In this area we are connected to the Framework Directive Water. To ensure the quality of our soil and water system the authorities have established standards for substances. Since the 1980’s RIVM has worked to develop Dutch policy and the substantiation of standards. From this background we advise on policy modifications, such as linking new standards to new substances. We advise authorities concerning safeguarding drinking water reservoirs, sources and quality. We do this with experts in the field of microbiology (pathogens), radiation, toxicology, epidemiology, hydrology, chemistry and CBRN (chemical, biological, radiology and nuclear) substances. RIVM monitors the chemical quality of groundwater and on-farm surface water with the use of monitoring networks at national scale. Our objective is evaluating the effectiveness of Dutch policy measures. We establish whether policy has led to changes and improvement in water quality. The Minerals Policy Monitoring Programme monitors at approximately 450 commercial farms the on-farm surface water (ditches) and water leaching from the root zone. The National Groundwater Quality Monitoring Network monitors in approximately 350 dedicated monitoring wells groundwater quality with screens at 10, 15, 25 m below soil level. These wells are located in agricultural, natural and urban areas. The data are available on the LMM website. Until 2014 RIVM also monitored the water quality below nature areas (National Acidification Trend Monitoring Network) and biological and chemical soil quality (National Soil Quality Monitoring Network). Video animation about the monitoring programme of the Dutch minerals policy, its history and its results. Dealing with water in cities is challenging in many ways. Clean water contributes to a healthy life.